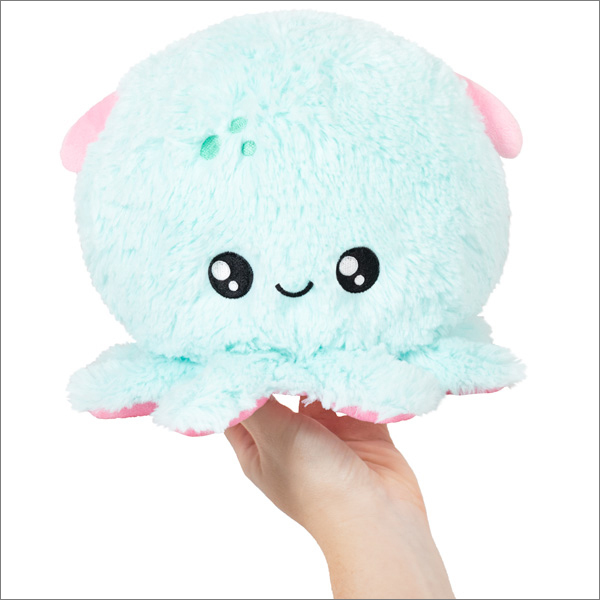 Mini Squishable Dumbo Octopus: An Adorable Fuzzy Plush to Snurfle and Squeeze! This room looks pretty nice: great-looking bedspread, excellent use of lighting, good window treatments, excellent carpet counterpoints. But I know we're all thinking the same thing, so I'm just going to come out and say it: this room really needs a Grimpoteuthis. I know, right? We all knew it, one of us just needed to speak up. Without a Dumbo Octopus, it's not quite there yet. Here we go, let's put him...there! Perfect! Close shave there guys.